The Christians a Soul band who were big in the 1980s hit the stage to a very warm and enthusiastic welcome from a packed room. Opening with I Shall Be Released the set was full of songs spanning the band’s career and there were a few numbers from the latest album Speed Of Life. Singer Gary Christian is the sole original member of his group but the latest incarnation of The Christians is the best line up this writer has seen in a long time. Gary Christian was full of his trademark Liverpudlian wit and the banter between band members and fans was quite amusing. Highlights of the night included Where Do The Children Play? Words, The Bottle and Overwhelmed. Forgotten Town and Ideal World from the hugely successful self-titled debut album went down really well and the crowd were singing along. The stunning Hooverville and Greenbank Drive ended the set. The band returned to the stage to play their cover of Harvest For The World. There were better songs played earlier in the evening which would have been more fitting as encore numbers but on the whole it was a good gig and the fans seemed to really enjoy themselves. 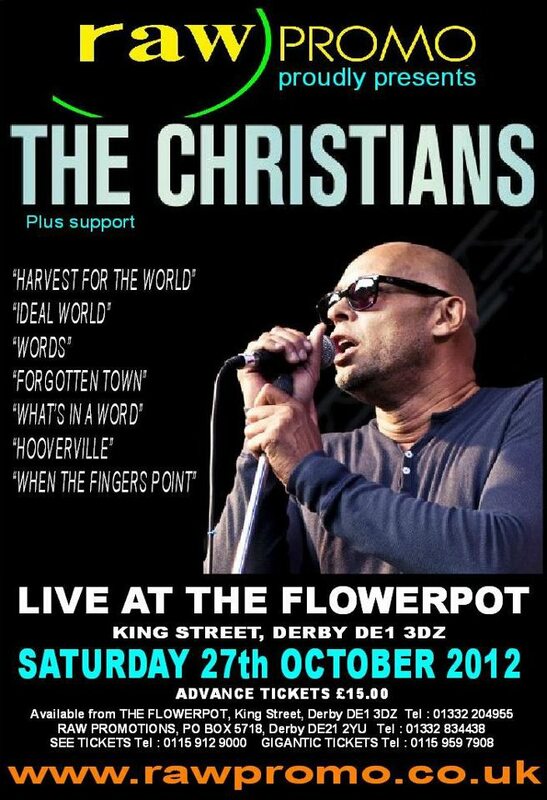 It is great to see bands such as The Christians still touring and recording and releasing new material and long may they continue.